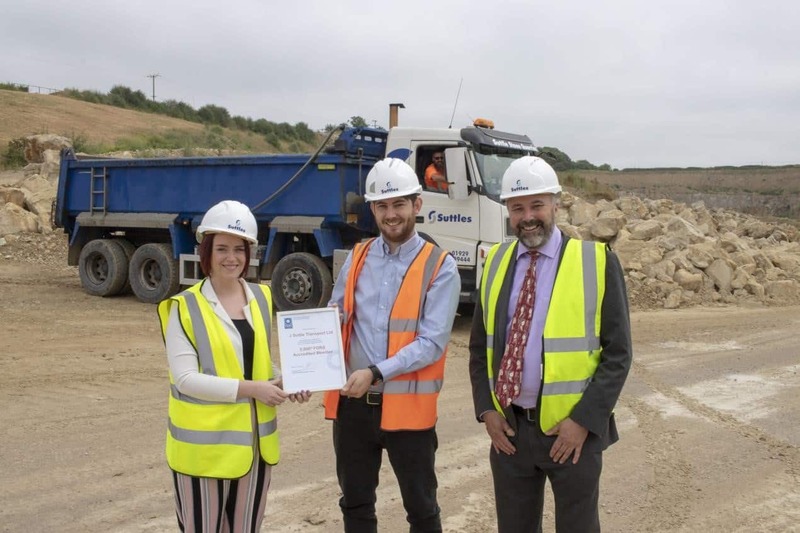 Membership of FORS, the Fleet Operator Recognition Scheme, has reached a major milestone this week after the Dorset-based quarry operator and aggregates merchants, J. Suttle Transport, became the scheme’s 5,000th member. 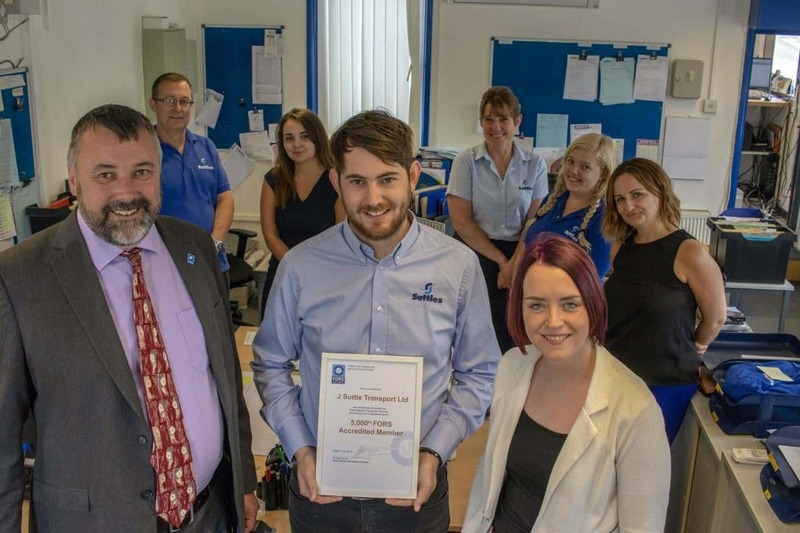 FORS this year has already recognised its 1,000th FORS Silver and its 250th FORS Gold members. Together with J. Suttle Transport, total FORS membership today represents over 112,000 trucks and vans throughout the UK and overseas. 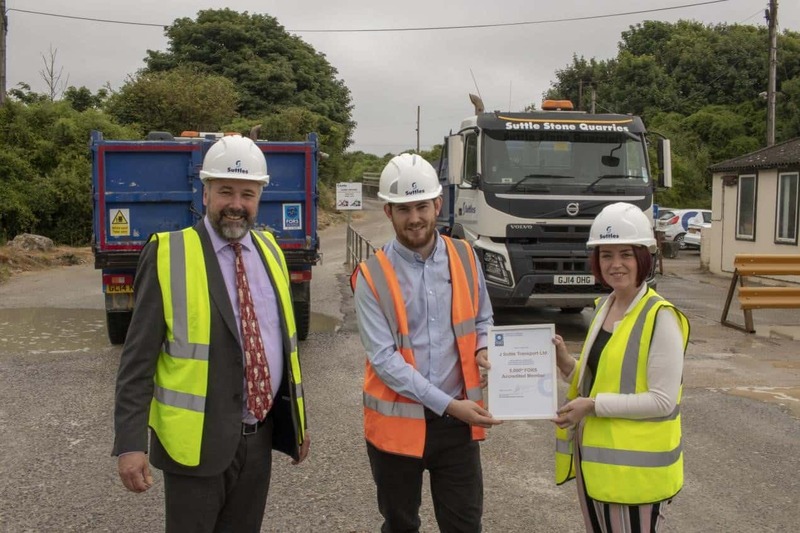 The landmark confirms FORS as the UK’s leading best practice accreditation scheme; offering a comprehensive range of member benefits. Through a process of continual development, FORS has developed a comprehensive portfolio of training materials accessible to members through the FORS Professional training programme. Content is regularly updated to ensure drivers and managers receive the very latest particulars on compliance, legislation and best practice. 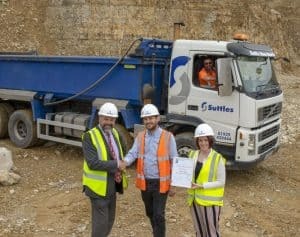 For J. Suttle Transport, FORS Bronze accreditation signals clear intent from the tipper operator to continue to embrace best practice and to improve all aspects of its operation. The company runs a fleet of 13 eight-wheel and six-wheel tippers and flatbeds, along with 16 vans.